Long weekend which I was waiting for has already started *takes a sip from sparkling wine*. Cheers everyone! I made it to the end of April, now I have to pay the bills and *cough cough* there are so many of them due to brush and make-up overkill in Japan and Sephora haul in the States. But tonight I will try not to think about it, lol. I would like to end the month with a super pretty piece which belongs to a make-up museum. I will try to talk about how it performs but seriously, do you bother? I mean, look at it, is there a way to skip it? 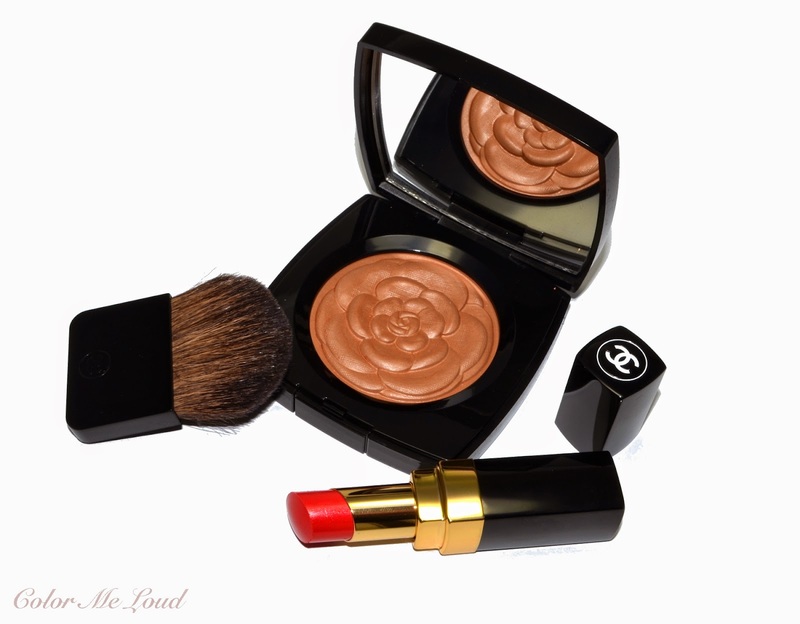 Here are my thoughts about Chanel Lumiere D'Ete Illuminating Bronzer and Rouge Coco Shine #507 Insoumise. Once you look closer to Chanel Lumiere D'Ete Illuminating Powder, you see that the surface is embossed with tiny lines. This gives the camellia a more realistic look but be aware that these will be the ones to vanish first. Now the good news. Remember how tiny the spring blush was (3g!)? The bronzer doesn't disappoint in this aspect. Chanel Lumiere D'Ete has a generous 8 g/0.28 Oz of product. I haven't taken a photo of the box but it has a super cute small camelia embossed on it too. Lumiere D'Ete comes in a black velvet pouch and a small brush for touch ups. I pulled out some bronzers from my stash to compare it to Chanel Lumiere D'Ete. I have to admit I hardly use bronzers but after a long winter, my face started looking like a ghost so maybe I should seriously consider integrating bronzer step to my daily make-up routine. 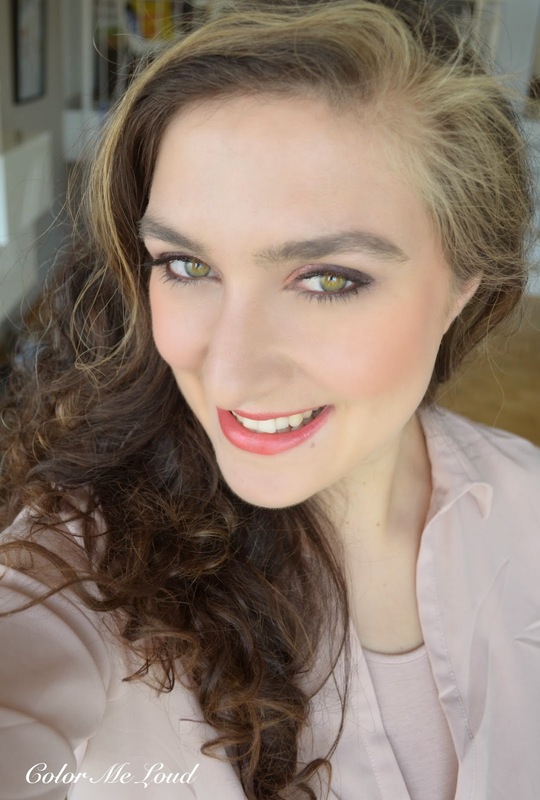 One of my most used bronzers is Guerlain 4 Seasons 03 Naturel Brunettes from last year (reviewed here). It is matte and it can be used light or dark. Here all shades are swirled together and you see this bronzer is right now rather dark for my pale winter skin. I love Les Beiges Multi Color #02 from last year (reviewed here) because of its reddish undertones which look so sun kissed but not orange on me. You can see that it is also more red/less brown than Lumber D'Ete, which I prefer, but it doesn't have the lovely glow of it. I was rather disappointed with Guerlain Joli Teint 03 Naturel Brunettes (reviewed here), which was like an orange blush than something you can put all over your face. You can see why, it is almost peachy orange and very light once compared to other similar products. 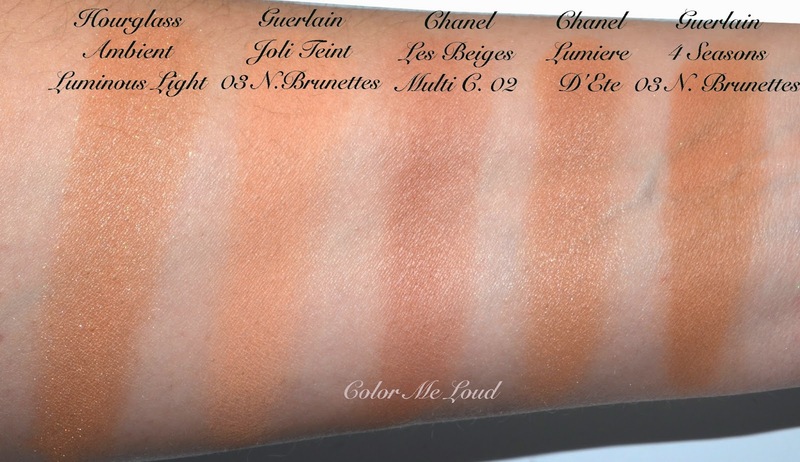 The most interesting result of the comparison was to find out that the new Hourglass Ambient Luminous Light Bronzer (the lighter option of the two) is indeed a dupe for Chanel Lumber D'Ete, at least on the swatches. I picked up this bronzer during my travel to the States (Sephora Haul see?) after trying both of the options. The dark one pulled too dark on me and this one was really pretty. Now I am stuck with two bronzers with same tones, lol. This must be the life of a beauty blogger/make-up enthusiast. On the bright side, I don't need to spoil the design of my Lumiere D'Ete. I can just use my Hourglass one. From all the sheer lipstick i this collection, I picked the most pigmented one. I think I have enough sheer lipstick (way too many) that it starts getting very hard to splurge on one. Each year they release a coral one for summer and I can't resist it. It is the same story all over again. This year it is Rouge Coco Shine #507 Insoumise which won my heart. You have to always check if a Rouge Coco is a "Hydrating Colour Lipshine" or a "Hydrating Sheer Lipshine". It is written on its box. Color Lipshines have more pigment while still being hydrating. Insoumise is a colour lip shine with a touch of sheerness. I love this formula for summer, so hydrating and comfortable to wear. Here is the look in context with Chanel Stylo Eye Shadows in #127 Laurier Rose and #147 Caroube on the eyes (reviews are coming up soon), Chanel Lumiere D'Ete Illuminating Powder (Bronzer) on the cheeks with just a tad of Tom Ford Frantic Pink on the apples of the cheeks and Rouge Coco Shine #507 Insoumise on the lips. 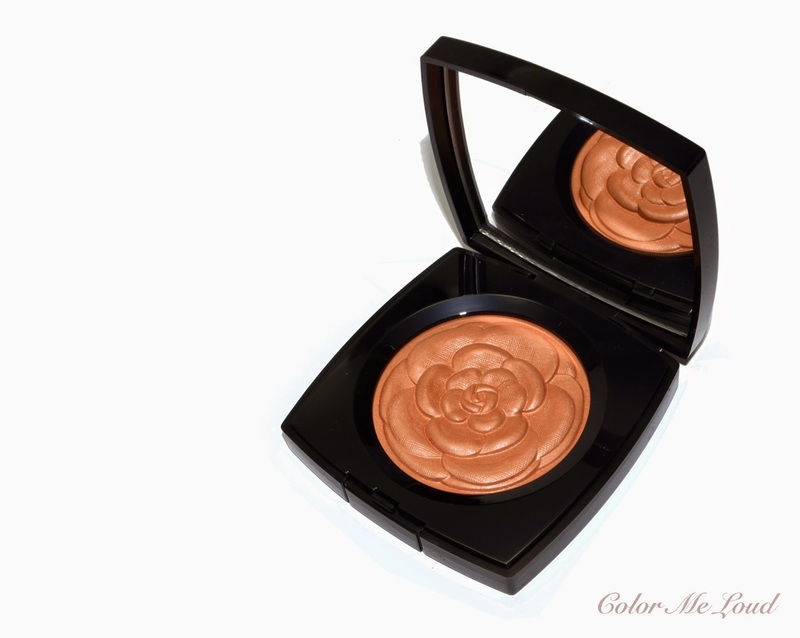 Chanel Lumiere D'Ete Illuminating Bronzer lasted all day long on me without fading. Rouge Coco Shine #507 Insoumise doesn't last all too long (was gone after the morning coffee) but I still like the formula. I am happy that Chanel Lumiere D'Ete doesn't pull too warm on me. It is also not too dark so I think it is best suited to natural to warm skin undertones and light and medium complexions. Check out Sunny from Mostly Sunny wearing Chanel Lumber D'Ete here. Final thoughts: I love almost al the pieces I picked up from Chanel Summer Collection this year. 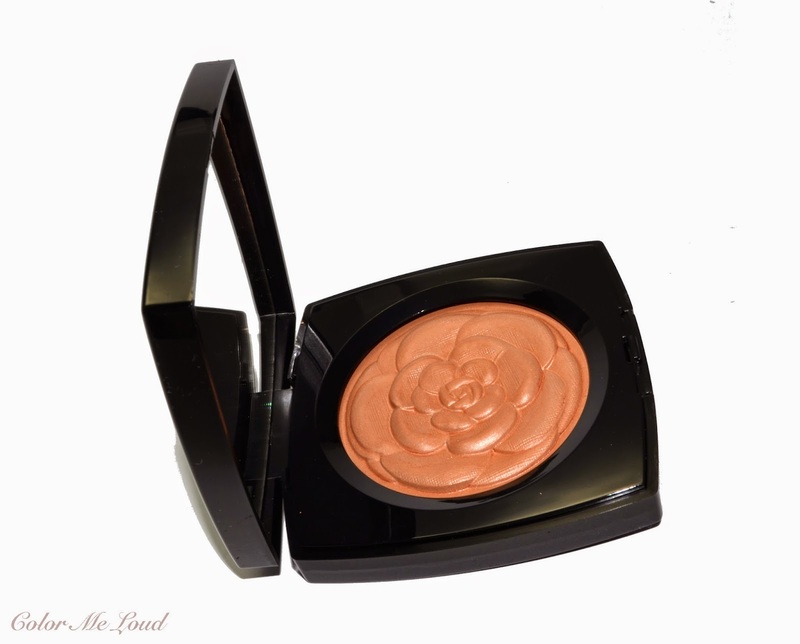 Chanel Lumiere D'Ete Illuminating Powder is lovely, gives a beautiful natural glow to the skin. It is most suited to light to medium complexions with natural to warm undertones though. 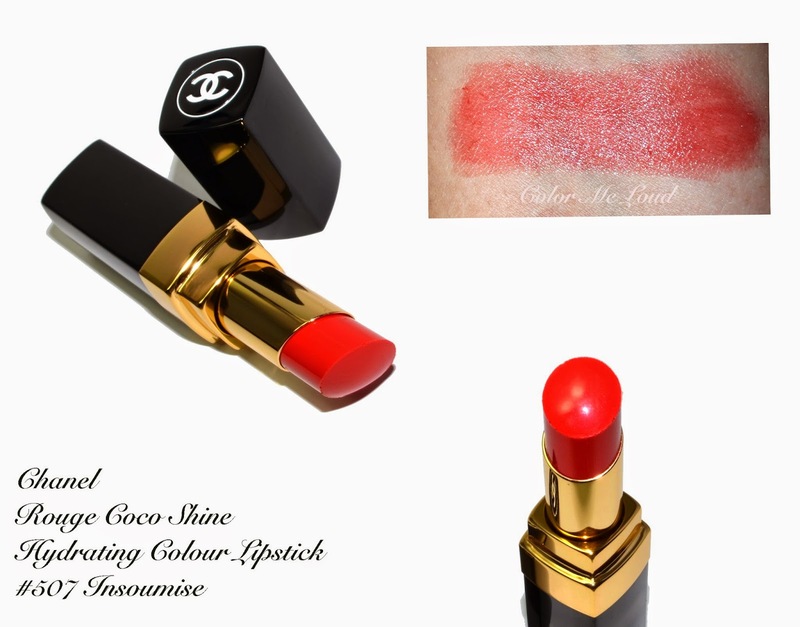 You can't go wrong with a coral lippie for summer, so even if Chanel Lumiere D'Ete is not for you, be sure to check out Rouge Coco Shine #507 Insoumise. Are you getting Chanel Lumiere D'Ete Illuminating Powder? Do you like your bronzers matte or do you profit from a satin finish? I know what you mean about not being able tou touch the design. But a friend said it's too pretty not to let it adorn my face, so after taking some photos I started using. I've currently got a huge bronzer obsession going, but very glad to learn that I don't *need* the Hourglass one. Because I do need the big ones from Clarins and Guerlain - even if I have to order from abroad. I was thinking of getting Lumière d'été but after reading your review I'm not so sure. I have strong pink to red undertones and definitely look more natural with reddish toned bronzers. This might be too warm for me. If it hasn't sold out by the time I can get to a Chanel counter I'll try it on my face. Thank you for your review, you've created a beautiful look. Ha, I picked exactly the same shades for eyeshadow and lipstick :) all products look gorgeous on you! OMG this whole look is stunning on you, and that bronzer is sooooo gorgeous. I bought Caroube and Laurier Rose, I love them. Went back and bought Terrana, Mediterranee, Lavanda. They didn't have the bronzer yet, I must test bronzers because they can be difficult on my NC10 skin, I may hold on until Les Beiges bronzer comes out, still early on this..... I think this summer Chanel collection is going to be death by a thousand credit card charges....I'm loving everything the more I see it and then I must get it. The quality is superb. Thank you for your fantastic reviews and blog, it's always a pleasure to read!!! Sara, thank you for the great post! And the lipstick suits you very well!!! I enough red and coral lipstick shades, so I'm interested in 487 shade of this collection, Amorosa (but in my city there no tester of this shade in the stores :)))), and no one blogger didn't show it yet for some reason - nobody like it, jast me)))). 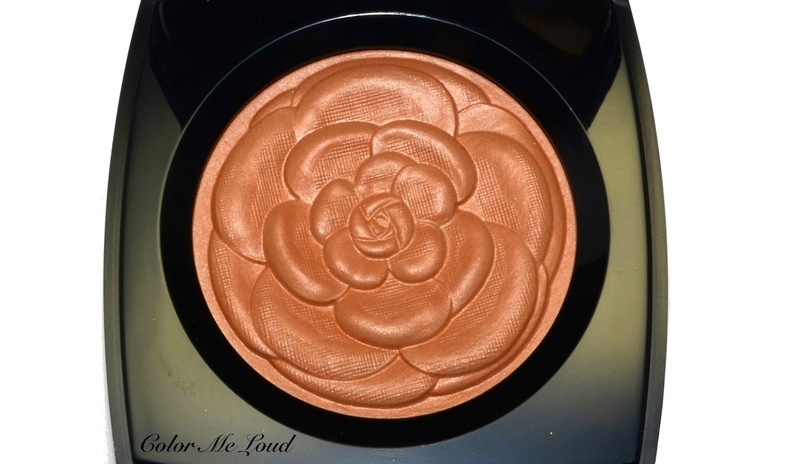 That bronzer is so beautiful...I can't wait to add to my collection of camellia-themed Chanel products! I'd be curious to know how Insoumise compares to Désinvolte from the spring collection. I love how these look on you Sara. I don't wear bronzers much, so I try not to buy them. If I bought any, I think it would purely to sit in my vanity, which is kinda pointless. if you never use bronzer, this is utterly pointless lol. I am also not a bronzer kind of girl but from time to time when I bring myself to use a little, I really like it lol. I don't know why I don't reach for it that often after all. when you said it like this, I imagined a glass window and all things Camellia in your exhibition lol. You must have a nice collection! Unfortunately I don't have Désinvolte to compare those for you. if you are too light, this one is really nothing for you. It is warm so has the potential to turn orange. The lighter versions of Les Beiges should be more suitable, you are right. I have checked all the lipsticks. I am not usually into corals/reds. I like pinks and plums much more but the others were really sheer. If you like sheer lipstick, then you may like it. I swatched Angelique and Coral Sunset for you, they are worlds apart, Angelique is more red/pink. Coral Sunset is almost like a peach, much warmer. I hope this helps. Oh, don't worry. It just arrived here this week as well. I got these from Amsterdam Airport, which was sheer luck. States always receives everything so early. Oh we have similar taste then! you are right, if you are very pale with cool undertones, it would probably pull orange for you. I wouldn't order it before trying it out. Thanks for your lovely compliment. which Guerlain are you going to pick up? I have so many bronzers from last year, if I don't get rid of them, I can't get excited for the new ones lol. Everything points to a blog sale but it is so much work, sigh. And sure does that coral look much better on you. You've seen that big limited edition one with the embossed pattern? I've got more bronzers than I can use in a bad year, but they're just soooo purrrrdy! Hi Sara! Both products look amazing on you. What brush do you use for the bronzer? I am having a hard time picking up product. I think this one has the top most layer a bit stiff so that the design doesn't get lost easily. The layers below should be better. I used my Chikuhodo brush from their Noel Collection. It is blue squirrel and very soft. I applied it several times though. I like building up slowly. I hope this helps. Oh sooo pretty, Sara!!! I initially thought that bronzer would be too dark for the cheeks, but it's so lovely on you!! LOL at watering this camellia!